I guess I should have read your post before typing out my drivel....lol. I took a quick look at the statistics, and while they don't tell the whole story this is what I found. I took the top 2 big men from each team in the conference last year and ranked them based on their effective field goal percentage, rebounding percentages and block percentages. All the stats you look for in a traditional good big man. From the stats it seems he isn't a consistent offensive threat compared to other big men in the conference, and he seems to be an average to below average rebounder. He is mostly just a shot blocker. The stats make him seem completely mediocre, or even below average. This is the first guy in the list who is above average in 3 of the 4 stats I looked at, and isn't too bad at the 4th stat either. Hassan is the offensive threat (but also shot blocking? ), Biruta is the rebounder. Seems similar to La Salle with Zach and Wright, neither put up great stats across the board individually. A crazy athlete, could be a monster if he can become more efficient on offense. eFG%: Ryan Rhomes (by a long shot, he made like 66% of his shots), Ronald Roberts, Dominque McKoy. Ryan Canty, Ryan Rhomes, Eric Copes (only player above average in all statisitcal categories! ), Mo Alie-Cox, Cady Lalanne. Last edited by mm4cc; 09-29-2014 at 02:57 PM. Nicholson was one of the best players I've ever had the displeasure of watching. When Gaston wasn't limping around the court he was an absolute monster. Nicholson also had the benefit of not playing for Fordham. Any list that would include Erik Copes among the top 5 bigs in the A-10 should be considered irrelevant. I'm hopeful he'll have a monster senior season, but based purely on his first three, he's been a bust. Stats that show him as being effective are proof that sometimes numbers do lie. Bill Russell and vcurams05 like this. Lies, damn lies and statistics. Kidding aside, I had wanted to mention Ryan Canty, but I think his body of work is somewhat limited. I think he has the potential to be one of the best big men in the conference, but something seems to hold him back every season. Last season it was the personal leave of absence he took and this season it will be the back surgery he just had. He should be back for conference play, but he will obviously be rusty. He is a tremendous athlete for a guy 6'10", can be a monster on the boards when he puts his mind to it and is a good shot blocker, though not sure the stats back that up. He has a very limited offensive game though. Anything beyond a dunk is a crap shoot. There are but a handful of bigs in this league who can consistently succeed without guards breaking down an opponent and feeding them lollipops. Chris Gaston and Andrew Nicholson aren't walking through that door. I think NDoye will be the best big in the league, but he averaged 10 points last year. Decent number, but not WOW. Lots of posts on this topic, figured I'd start close to the source. The crux of the debate here is how much of a problem Dayton's lack of size and depth in the front court is going to be a problem for them? I do agree that the A10 is a guard dominated league, but last year there were a handful of bigs that could do damage on their own and I expect it to be similar this year with some new names likely to emerge. Lalanne, Esho, Wright, Larsen are names that come to mind. Players who've left include Reddic, Evans, Kanacevic. The other part of this is that you need players (presumably big men) to rebound, otherwise you'll get killed on the glass and the A10 does have big men that can grab offensive rebounds and score on put-backs if you don't stop them. I'm guessing Dayton's offense doesn't lean too heavily on its bigs? So offensively it shouldn't be much of a problem. 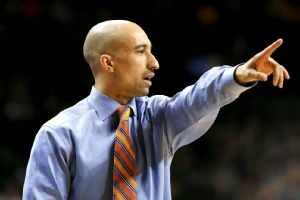 Havoc is not created in a day, at least not the sort that Shaka Smart would like to wreak. VCU's brand of mayhem takes time to build and time is not something basketball coaches always had. But now, thanks to a few NCAA rule tweaks and a reconstituted basketball calendar, Smart and his peers have a little wiggle room. Gone are the days when coaches and players sat pent up, like horses in the gates before a big race, waiting for 12:01 a.m. on Oct. 15 to see if their players actually followed their offseason conditioning program. Coach Shaka Smart and the VCU Rams can begin team practices up to six weeks prior to their opening game against Tennessee on Nov. 14. Whatever the people in VCU's athletics marketing office are being paid, it's not enough. vcurams05 and AlienAiden like this. VCU Brandcenter, the fans & the athletic dept are in a word....relentless. Ha! You know, 10 years ago the first practice, the first time together was Midnight Madness, so you hadn't been together as a team for several months before that," Smart said. "There's a little less of a buildup, maybe, than there used to be, but I think overall, it's been really helpful." Every coach, like every team, approaches his preseason run-up differently. Smart, because of his style of play, stresses conditioning. His guys have become familiar with the torture device known as the VersaClimber, a machine that mimics climbing a tree, only there is no tree, it's not much fun and it's a lot more painful. For the Rams, conditioning has to be a year-round commitment, but with the extra time to actually see his guys and work with them, Smart at least knows the work is getting done. "You can't practice if you're not conditioned; it would be a waste," Smart said. "You have to get your bodies ready. Our strength coach calls it building body armor." Yeah, for the Rams conditioning is a year-round commitment. Literally no other school in the land works out in the off-season. Just pizza and beer for everyone. The media is making me feel about VCU like they make me feel about Apple. Come on sjhawk13.....don't hate! I cannot help the media and VCU fans are delusional. Ha! The Spiders are on their annual summer abroad programs. Bona's players have been herding sheep and hiking the mountains of Nepal during the offseason. Their legs are like steel pogo sticks. Bona84, Gormin71, vcurams05 and 1 others like this. The Fordham players do their conditioning in the South Bronx. The goal is to be faster than a speeding bullet. Bona84, paulxu, vcurams05 and 1 others like this.